My evenings are spent at the coffee day at adyar with friends.... We sit over some sheesha and a few cups of coffee for bout 3 hours everyday... 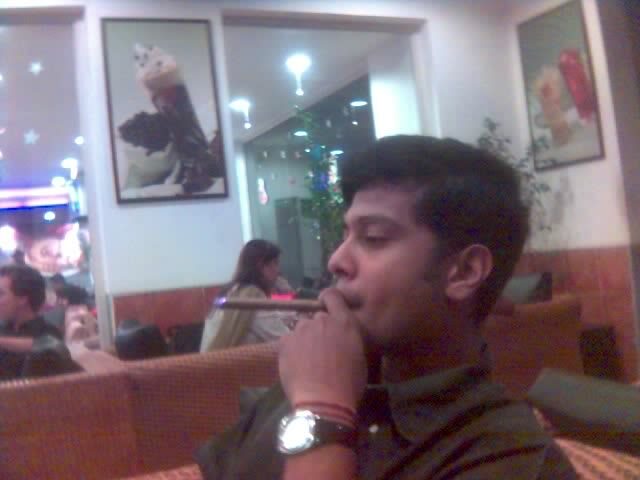 Here i am at coffee day with a cigar!!!! Hey man, wat if this photo lands in the hands of ur mom? tat'll be fun right?